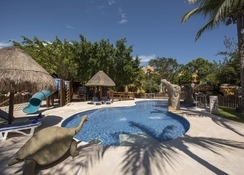 Experience the natural beauty and historical riches of Mexico, from the Iberostar Paraiso Lindo hotel, a 5-star all-inclusive luxury abode nestled amidst a pristine beach and ancient Mayan ruins. Be spellbound as you step into its magnificent lobby, built after an ancient monastery with elaborate grandeur and touches of gold leaf. 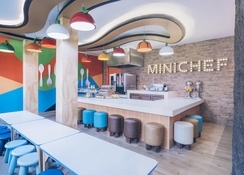 It tries to stay true to the traditional architecture and influence with attention to smallest details, from lovely patios, to stoned pathways to the room lamps illuminating walls painted bright yellow. Boasting of 446 immaculately furnished guestrooms, Riviera Maya’s only wave pool is enough for you to have splash-tastic fun with kids. While you are here, don't forget to visit the lazy river at the splash park. Iberostar Paraiso Lindo is located by the beautiful Paula Moraes beachfront on the Carribean Sea. The Church of Guadalupe is 16.3km and the Kool Beach Club is 17.8km, both about half an hour’s drive. The nearest Cozumel International Airport is at 27.7km. 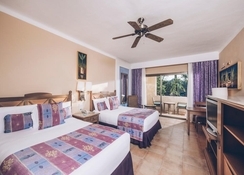 There are 446 elegant and well-furnished rooms at the Iberostar Paraiso Lindo with decor and details creating a warm and welcoming ambience. Guests can choose from Standard Room, Superior Room, Pool View Room, Junior Suite, Superior Junior Suite, Family Room, Presidential Junior Suite and Presidential Suite. You will find everything they need in the room and feel it to be home away from home. The rooms have two double beds or a king bed and a lovely private balcony with sea or garden views. Guests can dine in style at any of the five restaurants – La Pagoda offering international cuisine, El Fogon – steakhouse, Fogon Italiano offering Italian and Mediterranean cuisine, El Museo offering French cuisine and Jambalaya American dishes. The all-inclusive package at Iberostar Paraiso Lindo offers delectable cuisines in its buffet and la carte restaurants. 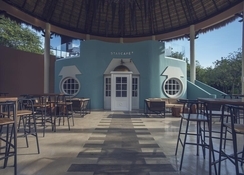 There are several bars scattered across the property to serve you refreshing drinks. 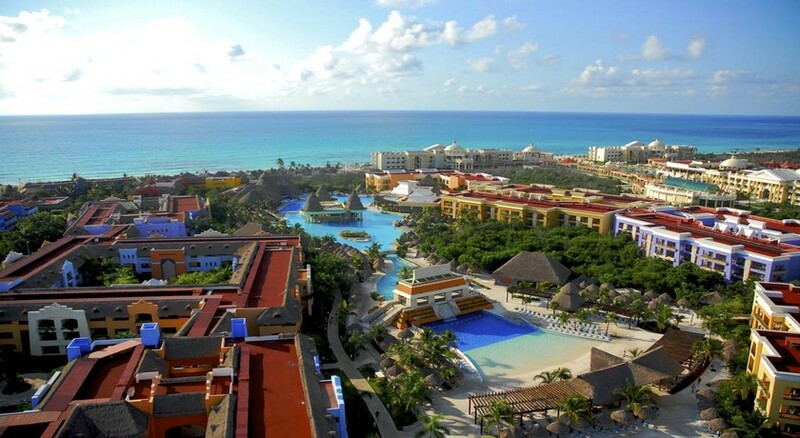 The Iberostar Paraiso Maya features a tennis court, a fitness centre and a spa. There’s a large outdoor swimming pool and a splash park. 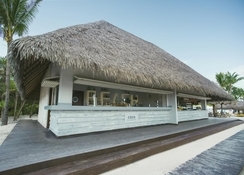 Guests may play billiards or take a stroll on the Paula Moraes beach. The hotel organises entertainment programs for adults and children separately.